Lecture theatres have come a long way in the last 30 years. When the Hugh Mackenzie Lecture Theatres were first built, multimedia meant an overhead or slide projector. Today, almost every lecture involves a combination of PowerPoint presentations and YouTube videos. Lecturers bring in personal laptops containing their notes and students are equipped with tablets to take them down. As such, Universities are also expected to have equipment suitable to the subjects they teach as well as cater for a wide range of accessibility needs. The refit of the first three of five lecture theatres saw all these considerations taken into account, however, for the fourth space, an additional requirement was added. 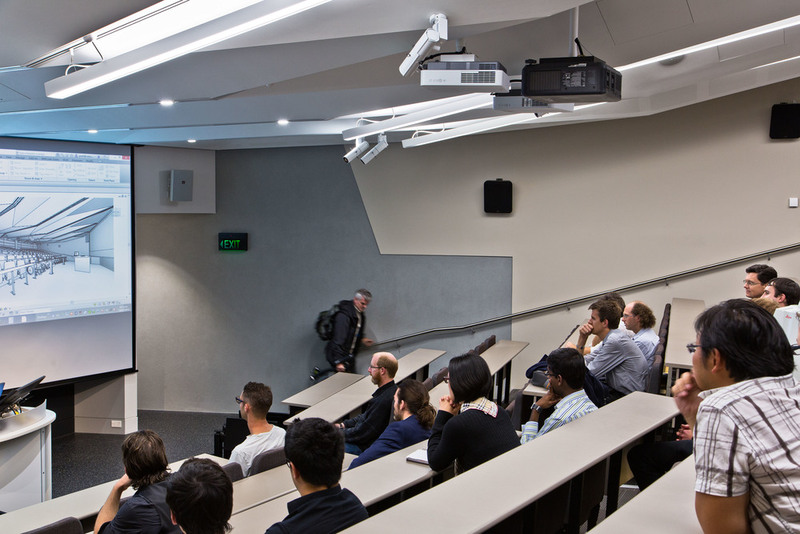 As the primary teaching space for the Media Studies Department, this lecture theatre required as much of the THX specifications as practical to get it to cinema standard. 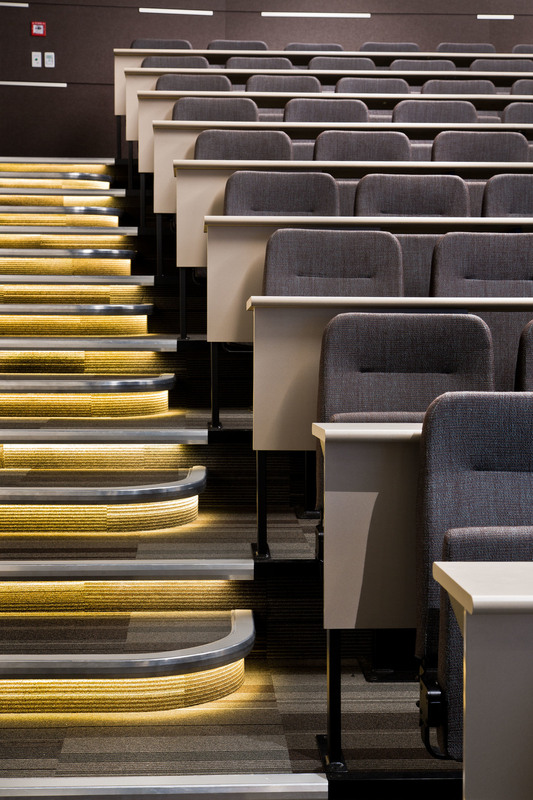 For this design S&T incorporated the basic design principles of lecture theatres with those related to theatrical (stage) lighting and lighting for movie theatres. Designing for spaces with multi-purpose specifications creates an interesting design challenge. 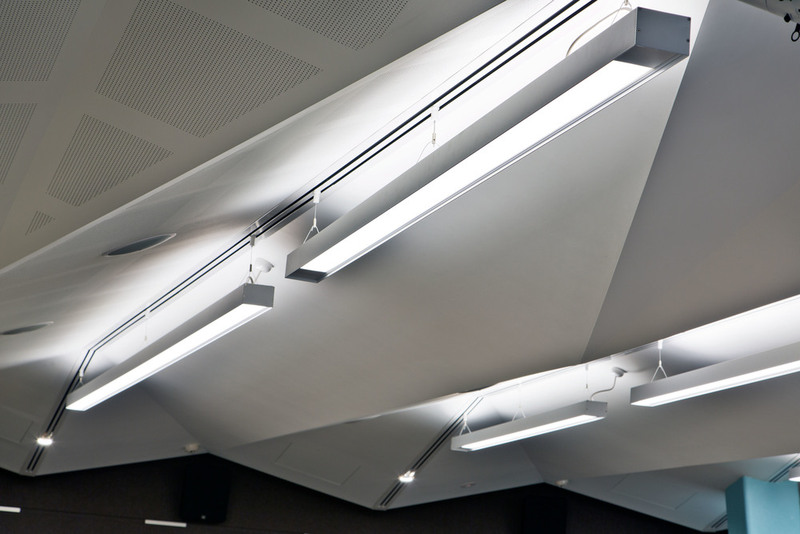 S&T's resolution of the various theatrical requirements for these lecture theatre projects have resulted in an extension of each room's capabilities and a creation of a flexible and functional learning environment.